Hero MotoCorp also announced that the new GST tax has reduced prices for its two-wheelers ranging from Rs 400 to Rs 1,800 for its mass market two-wheelers depending on the state of purchase and model. The Hero Glamour is among the most popular motorcycles for the country’s largest two-wheeler manufacturer. But the bike was showing its age cosmetically and mechanically and Hero had to respond. Its arch rival Honda had unveiled the new CB Shine SP few years back which was positioned as a premium 125cc bike. Hero responded in style by unveiling the 2017 Glamour in Argentina making it the first motorcycle from Hero to be unveiled in an overseas market. The 2017 Hero Glamour has been developed indigenously by Hero MotoCorp at its Centre for Innovation and Technology in Jaipur.The 2017 Hero Glamour Fi (fuel injection) is priced at Rs 65,650 for the CBS variant. The bike gets a completely revised styling which makes the new Glamour more appealing than its predecessor. It looks sleeker and sportier and the design highlight has to be the sharper-looking headlamp unit. Hero designers have also used the chequered graphics cleverly to make the 125cc bike visually appealing. The bike also sports a new semi-digital instrument console and the tail lamp is a LED unit. The biggest talking about the 2017 Hero Glamour is the all-new125cc motor. The Torque On Demand (TOD) engine is BS-IV compliant and will be available with both carburettor and fuel injection options similar to its predecessor. Currently only the fuel injected version is available on sale and we expect the carburettor version to go on sale soon. 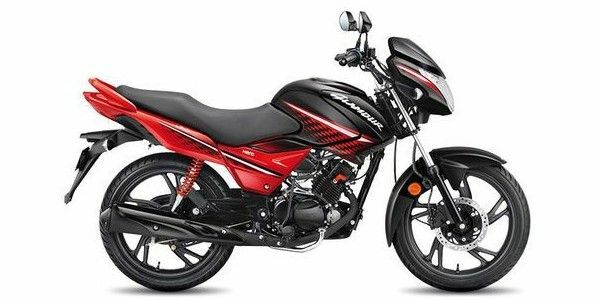 The 125cc engine makes 11.5 PS of power, which is a gain of 27 per cent in comparison to the older motor and 11Nm of peak torque at 6500rpm. Hero claims 62kmpl mileage figure for the Glamour Fi which is among the best in the segment and it also features i3S (start-stop) system. Hero Glamour prices start at Rs. 60,400 (Ex-Showroom) and the top end variant Hero Glamour Fi IBS is priced at Rs. 68,900 (Ex-Showroom). Hero Glamour is available in 4 variants and 3 colours. Share your experiences with Glamour? The claimed ARAI mileage for the Hero Glamour petrol is 81 kmpl. Q. Which is best Glamour, Saluto or V12? Q. My bike is FI 2014 model, everything is good but has some injector problem. Q. Which is best Glamour, Splender Plus and Passion XPro? Q. Which is better in Hero Glamour or Honda Shine? Glamour is the better looking one. Overall, Shine is better. But the Fi variant of glamour has 70+kmpl milage. Q. Which is good to buy Glamour and Passion Pro? The 2017 Hero Motocorp Glamour has been completely overhauled. Not just in terms of design, but also in the technology department. All at the same time, the 2017 HeroMotoCorp Glamour is familiar, sharp and modern. Does the experience in the saddle match up and justify the hefty price tag? With the next-gen Glamour 125 Hero looks to leapfrog the competition. We sample the stylish commuter to see if it can hit the spot. The Glamour had to stand true to its name and it does so with its sleek, stylish appearance. It looks fresh and young with its well carved fuel tank, and the instrument cluster is an easy to read mix of digital and analogue. Further, the wheels, the fork sliders and the engine are blacked out, which along with the chunky side and tail panels award it a sporty look. The carburettor version also gets start-stop system. Finally, the Glamour gets a semi-digital instrument console. The 125cc engine creates 11.5PS and 11 Nm of peak torque at 6500 rpm.The engine is offered in two options - carburettor and fuel injection. The FI one offers 11.6PS of power at 7500 rpm compared to the carburettor one that offers 9.1PS at 7000rpm. The FI performs better in terms of torque too, offering 11Nm at 6000rpm to the carburettor that offers 10.35Nm of torque at 4000 rpm. We tested the Glamour FI and it offered 58.3kmpl in the city and 61.32kmpl on the highway. Bajaj V15: Bajaj has positioned the V15 as a 150cc bike for the price of a 125cc motorcycle. With its cafe racer-inspired styling, the V15 does manage to stand apart from its rivals and that is among the primary reasons for its success. Performance from the engine is decent and it has a frugal nature. Overall the Bajaj V15 is a bike that will help you gather some eyeballs like no other commuter motorcycle. Yamaha Saluto: Yamaha joined the 125cc bandwagon by riding in the new Saluto some years back. The Yamaha Saluto with its sharp lines is an appealing looking motorcycle. But it doesn’t offer the same refinement as its other Yamaha siblings and only makes sense if you’re in the hunt for an affordable and stylish 125cc bike. Honda CB Shine: The Honda CB Shine is the undisputed king of the 125cc segment with its great mix of frugality and reliability. If you find the standard model a bit bland, go for the stylish Honda CB Shine SP which also gets an extra gear. The Hero Glamour has finally received the cosmetic and mechanical updates that it always deserved. For a slight premium over the existing model, the new Glamour makes for a great motorcycle to have on your shortlist for a sensible and reasonable commuter. Confused about Hero Moto Corp Glamour?